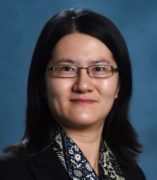 Jiaqi Liang is an assistant professor in the Department of Public Administration. She received a Ph.D. in Public Administration (with a second major in Comparative Politics) from the School of Public Affairs at American University. Dr. Liang's research interests encompass public management, bureaucratic politics, public policy process, policy analysis, social equity, environmental and energy policy, and comparative public administration and policy. Her research has appeared in a variety of public administration and public policy journals, including the Journal of Public Administration Research and Theory, Public Administration, International Public Management Journal, and Policy Studies Journal. Park, Sanghee, and Jiaqi Liang. Forthcoming. “Merit, Diversity, and Performance: Does Diversity Management Moderate the Effect of Merit Principles on Governmental Performance.” Public Personnel Management. Liang, Jiaqi, and Liang Ma. Forthcoming. “Ownership, Affiliation, and Organizational Performance: Evidence from China’s Results-Oriented Energy Policy.” International Public Management Journal. Ma, Liang, and Jiaqi Liang. 2018. “The Effects of Firm Ownership and Affiliation on Government’s Target Setting on Energy Conservation in China.” Journal of Cleaner Production 199: 459-465. Liang, Jiaqi. 2018. “Latinos and Environmental Justice: Examining the Link between Degenerative Policy, Political Representation, and Environmental Policy Implementation.” Policy Studies Journal 46(1): 60-89. Liang, Jiaqi. 2017. “Regulatory Effectiveness and Social Equity in Environmental Governance: Assessing Goal Conflict, Trade-Off, and Synergy.” The American Review of Public Administration 48(7): 761-776. Liang, Jiaqi. 2016. “Defining Environmental Justice Communities for Regulatory Enforcement: Implications from a Block-Group-Level Analysis of New York State.” Review of Policy Research 33(6): 666-685. Liang, Jiaqi. 2016. “The Shadow of the Politics of Deservedness? The Implications of Group-Centric Policy Context for Environmental Policy Implementation Inequalities in the United States.” Journal of Public Administration Research and Theory 26(3): 552-570. Liang, Jiaqi, and Laura Langbein. 2015. “Performance Management, High-Powered Incentives, and Environmental Policies in China.” International Public Management Journal 18(3): 346-385. Liang, Jiaqi. 2014. “Who Maximizes (or Satisfices) in Performance Management? An Empirical Study of the Effects of Motivation-Related Institutional Contexts on Energy Efficiency Policy in China.” Public Performance & Management Review 38(2): 284-315. Liang, Jiaqi, and Daniel J. Fiorino. 2013. “The Implications of Policy Stability for Renewable Energy Innovation in the United States, 1974 – 2009.” Policy Studies Journal 41(1): 97-118.